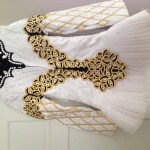 Elegant white Siopa Rince for 13-15 year old. Less than a year old and worn only a handful of times. 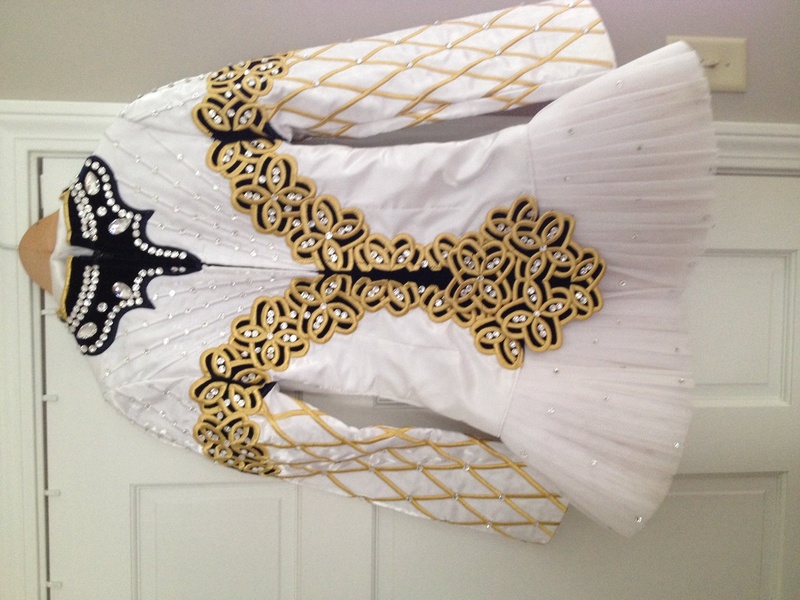 Tons of Swarovski crystals on both front and back. 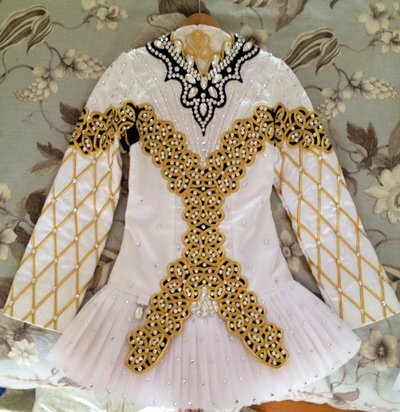 Gold underskirt and bloomers. Extremely clean and well maintained. Fit my slim 5′6 daughter beautifully, the problem is she is now 5′7″ and still going. Shipping included in USA. Never altered, room for both let out and let down. Asking Price: $US1875.00. Shipping costs are included for my own country, overseas shipping is extra. Returns are negotiable.